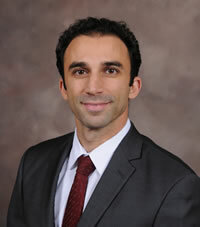 Dr. Elkhatib is the most recent addition to our practice. 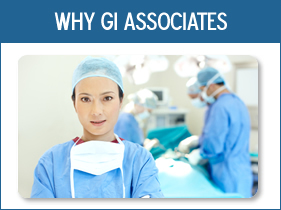 With an extensive training background, his skill and expertise adds another valuable facet to GI Associates. Dr. Elkhatib is excited to use his skills to serve the patients of this community. 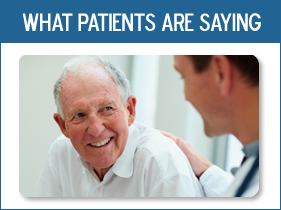 He treats each patient like a family member, making sure he listens to the needs of each patient, and giving them the time and attention they deserve. Growing up in Ohio, he received his Bachelors of Science degree in Biology from the Ohio State University in Columbus. After graduating from the Ohio State University, he attended medical school at the University of Cincinnati College of Medicine, where he received his Medical Degree with AOA honors, graduating in the top 5% of his class. He then went on to complete his Internal Medicine Residency at the prestigious Northwestern University in Chicago. While completing a rigorous core internal medicine specialization, Dr. Elkhatib received several resident teaching awards and the Humanism in Medicine Award. Most importantly, he fell in love with Chicago and its people. Dr. Elkhatib went on to complete a subspecialty fellowship in Gastroenterology at the University of California San Diego. During his fellowship, he authored and published multiple publications in esteemed gastrointestinal journals. He also authored three book chapters in separate popular gastroenterology textbooks. After observing the benefits endoscopic interventions could have on his patients, Dr. Elkhatib completed an additional sub-fellowship in Advanced and Therapeutic Endoscopy at the University of California. He became skilled in endoscopic ultrasound, biliary procedures (ERCP, cholangioscopy) enteral stenting and radiofrequency ablation of Barett’s esophagus, among several other endoscopic interventional techniques. The addition of Dr. Elkhatib’s expertise to GI Associates means that we can provide more specialized procedures and treatment for special cases that we see in our patients while still maintaining our exceptional level of patient care. Dr. Elkhatib is excited to return to Chicago near family, and to apply his expertise to the Chicago Southern Suburbs community. When not at work, Dr. Elkhatib is an avid creative writer and technology buff, and when not travelling to distant areas of the world, loves to be on the court playing basketball.